$99.00 per month for 36 months. $139.00 per month for 36 months. $5170.00 down payment + $139.00 first mo. pmt + $0 sec dep + $675 bank fee = $5984.00 due at signing. *Prices include all costs to be paid by consumer for licensing costs, registration fees, insurance and taxes. Ttl pmt/residual/cap cost: $5004.00/$14735.00/$18691.00. 36 mo closed end lease for 720+ FICO score. Subject to primary lender approval. Leases incl. $209.00 per month for 36 months. 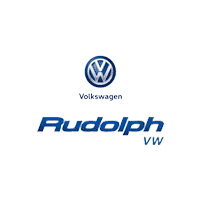 Rudolph Volkswagen of El Paso	31.8570197, -106.5767303.